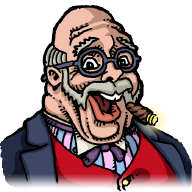 Ah, welcome to this development web log, or 'blog', where messers Pickford and Pickford detail the significant events in the development of their enchanting new game, Magnetic Billiards. For the less patient among you, apparently even more frequent missives from the development trenches are available via the PickfordBros Twitter feed, @PickfordBros, whatever that means. Magnetic Billiards: Blueprint goes free. Forever.